Review: *Gasp. Oh. My. Gawd. This is an amazingly intense, fast-paced, full-on roller coaster of a book. It is a series that MUST be read in order. (You might even want to at least skim book one again to “remember” what all happened as this picks up right where it left off.) We add in even more characters and more intrigue and one (or two) big whoppers of a plot twist(s)! So, I will admit, at least one of the plot twists had me rolling my eyes a bit, but – hey – it’s fiction, right? 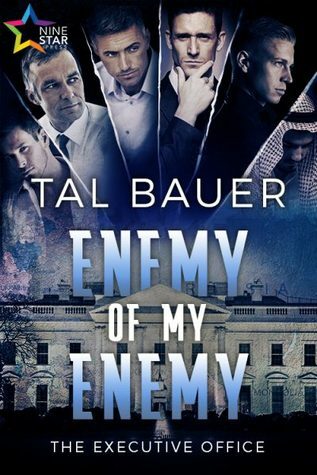 So – just enjoy the creativity of Tal Bauer’s imagination and go with it! This is a LONG book, so be prepared to either stay up late in the night or perhaps consider some shock therapy to get you to lay it down once you’ve started reading it. 🙂 This book feels to me like the TV show 24. It’s long. On the edge of your seat nerve racking. Exciting. I loved that our boys are together and that (with one exception) they are in this drama together and most of the angst/excitement is external. I COULD NOT believe some of what happens in this book – it truly had me gasping and crying and so shocked! There’s also some really amazing new couples starting to develop that I hope we see more of as the next book comes along. So – obviously – I don’t want to spoil this. But – just know: It’s long. Our couple ends up together but still in danger. We STILL don’t know who the bad guy(s) are by the end. We have to wait til MARCH for the next installment!!! !